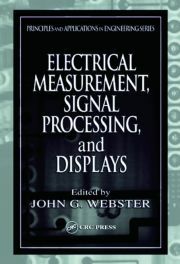 John G. Webster is Professor Emeritus of Biomedical Engineering at the University of Wisconsin-Madison, USA. He teaches courses in bioinstrumentation and design and does research on implantable intracranial pressure sensors for hydrocephalus. He is the editor of Medical instrumentation: application and design, 2009, and has developed 22 other books and 200 research papers. John G. Webster received the B.E.E. degree from Cornell University, Ithaca, NY, USA in 1953, and the M.S.E.E. and Ph.D. degrees from the University of Rochester, Rochester, NY, USA in 1965 and 1967, respectively. He is Professor Emeritus of Biomedical Engineering at the University of Wisconsin-Madison, USA. In the field of medical instrumentation he teaches undergraduate and graduate courses in bioinstrumentation and design. He does research on improving electrodes for ablating liver to cure cancer. He does research on safety of electromuscular incapacitating devices. He does research on a miniature hot flash recorder. He is the editor of the most-used text in biomedical engineering: Medical instrumentation: application and design, Fourth Edition, 2009, and has developed 22 other books including the Encyclopedia of medical devices and instrumentation, Second Edition, 2006 and 200 research papers. Dr. Webster is a fellow of the Institute of Electrical and Electronics Engineers, Instrument Society of America, American Institute of Medical and Biological Engineering, and Institute of Physics. He has been a member of the IEEE-EMBS Administrative Committee and the NIH Surgery and Bioengineering Study Section. He is the recipient of the 2001 IEEE-EMBS Career Achievement Award.